These are the geological formation which possess both porosity and permeability ,hence sufficient quantity of discharge can be obtained through them. 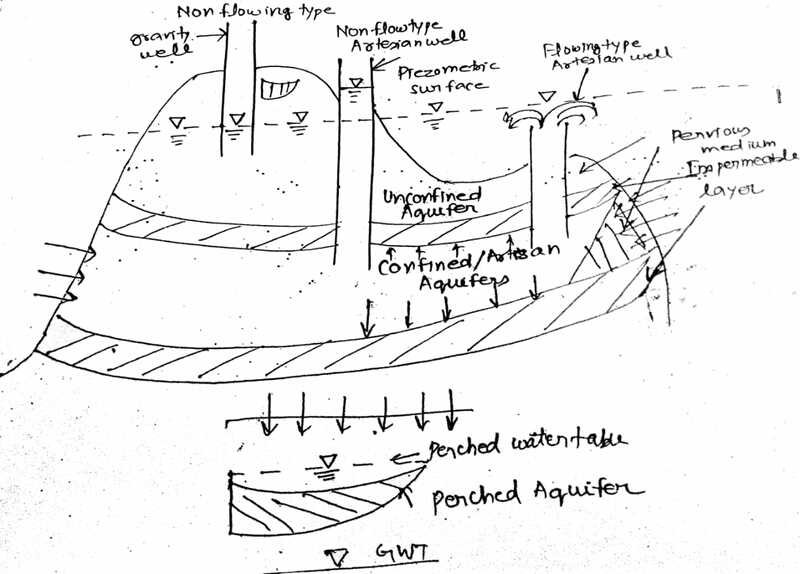 These are the types of aquifer in which ground water table serve as the upper zone of saturation .Water present in this aquifer is subject no pressure than hydrostatic pressure. 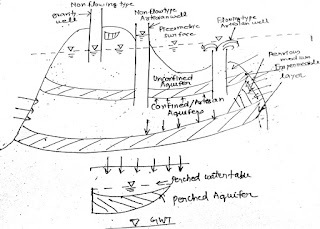 These are type of aquifer which are formed due to the presence of impermeable layer above and below the pervious medium . Water present in these aquifers is subjected to the pressure greater than hydrostatic pressure . such formations are referred as perched aquifers.